Elise Wagner painter, printmaker, and teacher, is originally from Jersey City, New Jersey, Elise relocated to Portland, Oregon 31 years ago. Her initial captivation with the geology, and the majestic beauty of the Pacific Northwest, lead her to obtain a Bachelor of Science Degree at Portland State University. She studied painting, printmaking, sculpture, art history, geology, physics and environmental biology which wove into what would become the conceptual fabric of her work. Elise is a 2015-16 recipient of the Pollock Krasner Foundation Grant as well as numerous other grants and awards. Her work is among corporate and private collections throughout the U.S. and has been published in several books and catalogs. 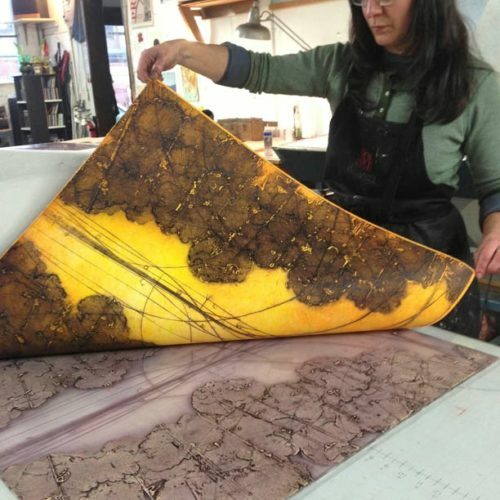 Elise innovated a way to marry the techniques of encaustic, the ancient medium that combines beeswax, resin and pigment with that of collagraph printmaking. 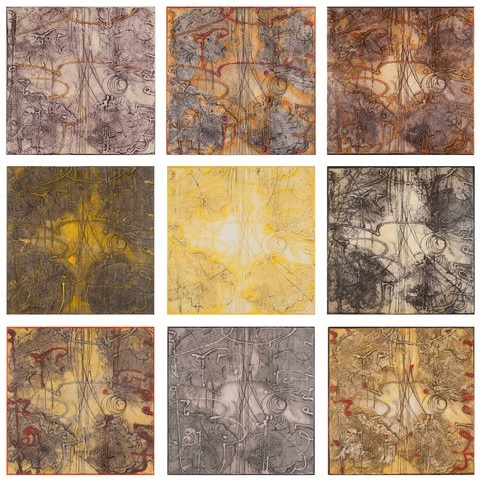 Using her own formulated Wagner Encaustic Collagraph White wax, she is able to create limited edition monoprints. 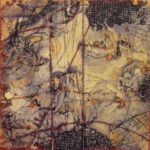 Elise has been teaching Encaustic Painting and Collagraph workshops in her studio for over 20 years. She has also taught Encaustic Collagraph at ateliers internationally and throughout the country such as Metchosin International School of the Arts, Victoria, BC, Center for Contemporary Printmaking, Norwalk, CT, Women’s Studio Workshop, Red Deer College, Alberta, CA, Rosendale, NY, R&F Encaustics, Kingston, NY, Burning Bones Press, Houston and the Printmaking Center of New Jersey among many others. She was also a presenter at 2016 SGCI Conference where she demonstrated the method. Elise’s prints have been featured and sold at fine print fairs nationally and internationally by Warnock Fine Arts, Palm Springs and are also available at Butters Gallery, Portland, OR, Gremillion & Co. Fine Art, Houston and Frederick Holmes & Co., Seattle. My favorite Akua products are the Intaglio Inks an the Transparent Base. Working with encaustic collagraph can be tricky and impossible to print with oil based inks. The fluid consistency of the soy and honey based Akua Intaglio inks makes the perfect marriage of materials to print from the textures of my white collagraph beeswax! Mixing the inks with transparent base allows for gorgeous veils of color. I also absolutely love using Arnhem 1618 paper to print encaustic collagraph mono prints with Akua Intaglio inks. 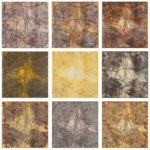 This two-day semi-private workshop in my Portland studio covers the various steps of the Encaustic Collagraph technique that I pioneered, more from a painter's point of view. You will learn some basic rudiments of encaustic and then we will dive in using various common tools of the medium. 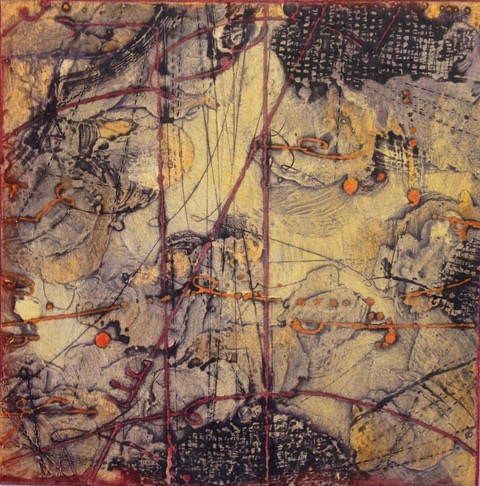 A comprehensive demonstration will cover applying the wax and use of various encaustic techniques that I married with collagraph as well as dry point etching, mark making, incising, embossing, and the use of heated tools. An in depth overview of Akua Inks and mediums as well as wiping techniques will also be covered. Make the picturesque Spanish Colonial hill town of Guanajuato your destination for creating and exploring this Winter! Guanajuato was founded in 1559 due to the region's rich silver and gold deposits. Opulent colonial buildings, stunning tree-filled plazas and brightly colored houses are crammed onto the steep slopes of a ravine. Excellent museums, handsome theaters and a fine marketplace punctuate the cobblestone streets. The city's 'main' roads twist around the hillsides and plunge into tunnels, formerly rivers. The workshop takes place at Piramidal Grafica. With two large presses and ample workspace for 12 participants, this professional printmaking facility is well suited to serve all the creative needs of workshop attendees. Five days have been allotted with a day off built into the program for you to explore the City or take a day trip to nearby San Miguel de Allende at an extra cost.